Need temporary supervision of an inaccessible place? That you have not missed anything important! We bring you a unique mobile camera stystem that combines the latest technology, simple user interface, ease of handling and maximum mobility. With the help of our facitlity know operationalize full-featured surveillance system that is directly connected to the internet in just a few minutes! Our system offers complete management via web interface. 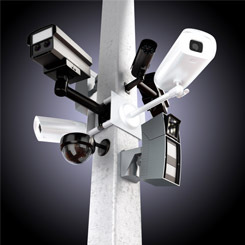 Up to 4 IP cameras professional, uique image quality, night vision. Set a recording only when movement is detected. Book FORBIS Mobile Monitor today and get a discount!